In just two weeks,* skin looks more radiant and even-toned, and fine lines and wrinkles look improved. This beauty-industry first uses breakthrough technology that delivers pure vitamin C to your skin in a tiny, dissolvable square. When dissolved in the palm of your hand, a stabilised derivative of vitamin C contained in the square gets transformed into pure vitamin C on your skin. When paired with a Mary Kay® face serum,** it supercharges that serum with a benefits boost. *Results based on a four-week independent clinical study in which 29 women used TimeWise® Vitamin C Activating Squares™ in a neutral base three times a week. 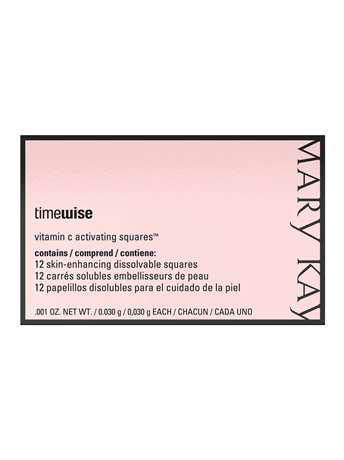 As a beauty industry first, TimeWise® Vitamin C Activating Squares™ are a breakthrough in technology that can turn your favourite Mary Kay® serum† into a superpower with pure vitamin C. It’s not a serum. It’s not a powder. 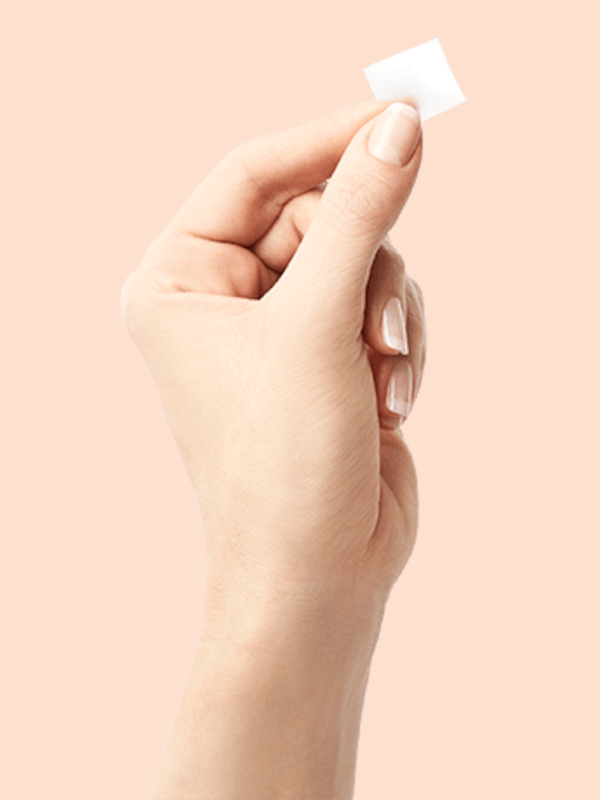 It’s a revolutionary skin care innovation that delivers pure vitamin C to your skin in a tiny, dissolvable square. So small, it can sit on your fingertip; so powerful, it can supercharge your serum with a benefits boost. In just two weeks,* skin looks more radiant and even-toned, and fine lines and wrinkles look improved. Just activate one square in the palm of your hand, and it dissolves into a pure vitamin C age-fighting powerhouse. Now that’s pure genius. †NEW TimeWise® Vitamin C Activating Squares™ are NOT to be mixed with sunscreen or acne products. Apply to face and allow to dry completely before continuing your skin care regime. A powerful addition to any age-fighting regime, vitamin C is famous for helping to keep skin looking more youthfully radiant and even-toned. But its benefits don’t stop there. Vitamin C also is known for playing a role in supporting natural collagen and elastin to help reduce the appearance of fine lines and wrinkles.